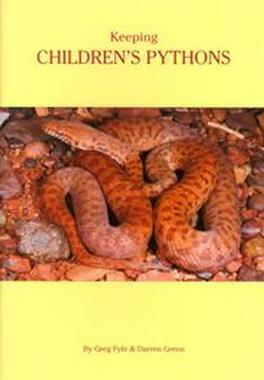 This 49-page colour title specialising in Children's Pythons includes details on Recognising a Healthy Children's Python, Indoor Enclosures, Heating, Outdoor Enclosures, Feeding, Winter Care, Breeding, Egg Care, Juvenile Care and Ailments and Disorders. Species covered include Stimson's Python, Spotted Python, Children's Python and Pygmy Python. Supported by Colour Photographs. Be the first person to tell us what you think about Keeping Children&apos;s Pythons and you'll save $5 on your next purchase!